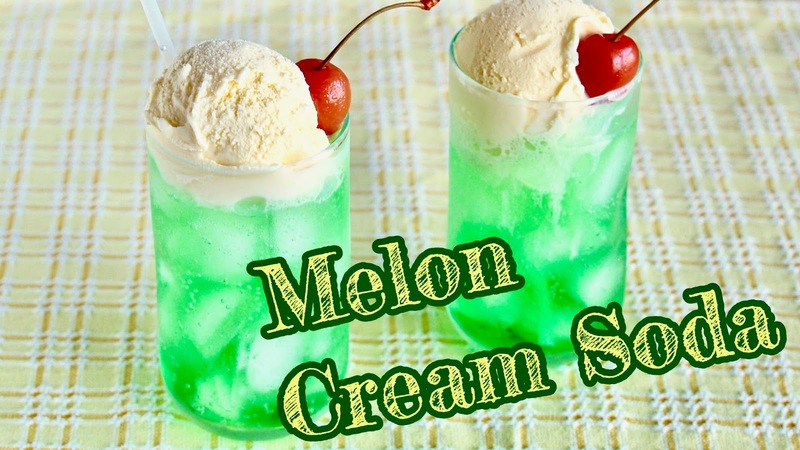 Melon Cream Soda (or Melon Soda Float) is a very popular classic Japanese drink loved by both kids and adults. It is always available at casual restaurants (so called family restaurants), something like Coke in the US. Recipe is very simple. Therefore you may want to buy a right syrup to get a better result. For instance, the syrup I used was pretty good! Only 3 bucks. 1. Fill a glass with a glassful of ice cubes. 2. Fill about a quarter to one third of a glass with syrup, then add soda, leaving a little space at the top for an ice cream. 3. Place a scoop of vanilla ice cream to finish.